She’s baaack! Aubrey O’Day is returning to Marriage Boot Camp: Reality Stars for season 11 six months after news broke of her 2011 affair with Donald Trump Jr. The former Danity Kane songstress, 34, will star alongside ex-boyfriend Paul “Pauly D” Delvecchio, whom she dated from February 2016 to July 2017. The pair got together while filming VH1’s Famously Single. O’Day previously appeared on Marriage Boot Camp season 3 with then-boyfriend Travis Garland. The reality star has kept out of the spotlight since March, when multiple sources confirmed to Us Weekly that she and Donald, 40, dated while he was still married to now-estranged wife Vanessa Trump. The “Damaged” songstress was involved with the president’s eldest son from the end of 2011 until March 2012, when a source told Us that Trump, 40, confronted her. The affair made headlines days after Vanessa filed for divorce from Donald due to increasing pressure from their high-profile presidential family, according to a source. The businessman has since moved on with Fox News anchor Kimberly Guilfoyle, who he recently traveled to France with. The newly minted couple were spotted locking lips while parting at Nikki Beach. They were also seen touring the Effiel Tower and the Louvre. Donald and Vanessa have three children: Kai, 11, Donald III, 9, Tristan, 6, Spencer, 5, and Chloe, 4. 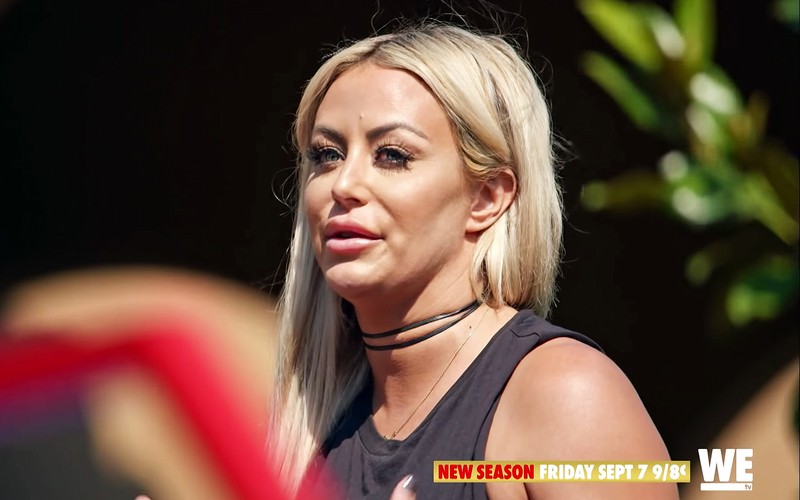 Marriage Boot Camp: Reality Stars season 11 premieres on WEtv Friday, September 7, at 9 p.m. ET.